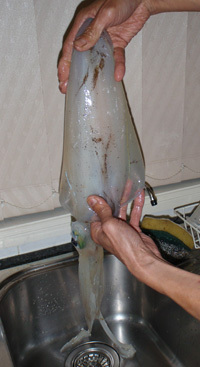 The squid measured 38cm from tip of the head to the tail. Towards the end of the day, dad hooked up on something big on a small bit of pilchard which took him for a 5 minute run! 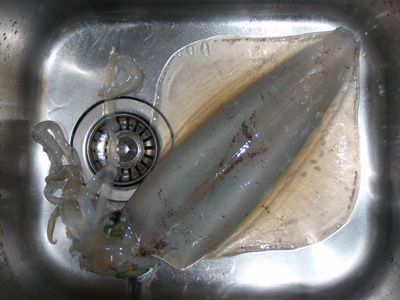 We dragged it all the way to a landable area but it unhooked itself in the last few metres! Disappointment. We saw a few flashes on the surface, I thought it may have been a kingfish or a tailor at about the 35-40cm mark.